Today I take my texts from the great poet Tomlin. We’ve adjusted our mobile phone rules, on which I have pontificated at length in the past and even in the press. This was tannoy 1 on Tuesday, day 2 of the new jurisdiction. It caused groans. Things, as Mr Blair didn’t say, could only get worse. Changeover 2 cause people to bang their heads on desks, though I thought it a great improvement. This was followed by a specific warning at changeover 3. I think the scansion needs attention and there’s too much dangle in the second line. You don’t want to get to lunch when it’s allowed, but you have lost it. He busked the next one but the final exhortation was perhaps the worst of all. See how we model creativity to the children? I shall enter him for the Forward Prize for Poetry next year. Changing a rule in school is an interesting process. It takes us a long time to decide and we have to argue amongst ourselves for weeks until we come up with an agreement. Children then have to be warned and the infrastructure put into place. In this case, consistent instructions, seven assemblies, tutor group scripts, padded reusable envelopes with labels, lists of names, boxes to put them in, safe places to store them, return mechanisms, FAQs with staff and, after a pilot week, tweaks to the system and a clear message for parents in the newsletter. That’s the easy part. The harder part is actually changing our daily actions. In this case, moving the ‘no phones’ rule back from the classroom door to the outside door, and developing a consistent and safe way of removing offending items and retraining their owners. After that we work through the ones who just forgot, the ones who thought it wouldn’t happen to them, the ones who thought they’d test a new system until we’re left with the dogged recidivists who can’t let it go. That’ll take a while. It’s been interesting to see how annoyed some older students have been by this. Unusually, we made the new rule fit post-16 students too, except for subjects where teachers need them to use their phones, or where it has long been allowed in a very thoughtful and controlled manner. We thought long and hard about this, worrying that years 12 and 13 would feel affronted by being treated the same as the younger ones – but then decided that the new rule was whole school. Why? Because we try to model a way of living in community that will help young people understand the world and change it for the better. While we don’t demonise phones as such, we were losing too much lesson time arguing over them and that was in the sixth form too. We decided collectively that we weren’t helping our young people learn a more sensible way to be, and we’ve changed our minds. And we’ve changed the way the adults act too. We’re not checking our phones all the time or walking along looking at them, except for the safeguarding team. We’re all in this together, because phones are addictive to adults as well as children and we can all demonstrate a bit of self-control. To play the game again? For I find I cannot let it go. Isn’t that like a phone? There’s a fear in the last line of being overtaken by something that you chose to do but can’t stop. That’s always terrified me. I think our new rule is both moderate and humane and I hope it helps young people to put their phones down from time to time outside school too. Perhaps to play football or write poetry, who knows? Changing your mind after reflection and investigation is a sign of good learning and a hallmark of adult life. Our legislators could learn from this. The White House book sounds gripping. I picture the Wolff man sitting quietly in a corridor smiling pleasantly so that people stop for a chat. Perhaps he had cakes. Who can resist someone listening sympathetically when you’re tired and irritated? If OFSTED had any sense, that’s what they’d do. A day spent in reception with an open smile and some fancy biscuits and you’d learn a lot. Who’s late, who’s angry, who’s ill, who’s in tears, who’s got time to talk, how many supply teachers are signing in, why are the Police there, who is that bedraggled old soul who never remembers she needs her keys to get back? Ah, that’s the Head. Daily sights are available to any watcher. Monday Mr Springall had trousers on. (Not that he’s usually overexposed, you understand, just that he lives in shorts and generally only wears trousers for awards ceremonies. I didn’t think he’d been issued with tracksuit bottoms.) Tuesday I admired a matching pair of hair ribbons and the wearers gave me the biggest smiles. Wednesday I took issue with a camouflaged hat. Thursday the police came to tell us something we’d told them. Friday I returned to the classroom as a rusty supply teacher. So that means that Monday everybody was cold, Tuesday year 7 are still perky and charming 16 weeks in. Wednesday ‘It’s been a week now. No hats indoors no matter how new.’ Thursday nearly working in partnership with external agencies. Friday another nasty case of bronchitis so Roberts had to dust off her Religious Attitudes to Crime and Punishment. So Tuesday wasn’t just hair ribbons. Tuesday was early close for training, on trauma, on understanding the causes and damage of early childhood trauma and looking at how this might affect young people’s approach to adults, to school, to experiences, to life. Once you’ve grasped that, some inexplicables start to make sense. Why might some children be fearful and angry all the time? Why does the slightest change to routine throw some completely off kilter? Why is it important for teachers to be predictable, consistent, reliable, calm and – to return to the White House – stable? It’s important because kindness and empathy can repair some of the damage already done, and even if it couldn’t it would still be the right way to live. When I looked round Tallis one of the things that made me want to come and serve out my twilight years here was the sight and sound of teachers talking calmly, firmly and kindly to struggling souls, about a better way to be. It permeates the place. Civic friendship indeed. I try to show this to visitors so I make them look out of my window at lesson change. It’s a bit of a risky strategy as you never know what might emerge in human community, but as a spectacle it’s never let me down (though Toby Young didn’t quite know what to make of it when he watched in May). New governors yesterday had been on a guided tour with some exceptionally loquacious year 8s who’d even commissioned a dance performance en route, so could be forgiven for wondering why it took 55 minutes to get around the building when 1900 people could emerge and disappear in 4. But the best uncapturable moment of the week was Thursday in the quiet of the after-school gloaming, hearing George whistling Auld Lang Syne as he crossed the yard. Don’t be anxious about willie waught. Loosely translated it means ‘take my hand in friendship and make a toast to the times we’ve known’. That’s as good for a new start as for an ending, for a reunion as for a parting. Here we are, the raw materials of civic life, holding out a hand to each other as we reboot Tallis for 2018. Pardon me for mentioning it but I was in the loo of the Wig and Mitre in Lincoln on All Saints Day when I saw the Ask for Angela poster and thought that’s a damn good idea. 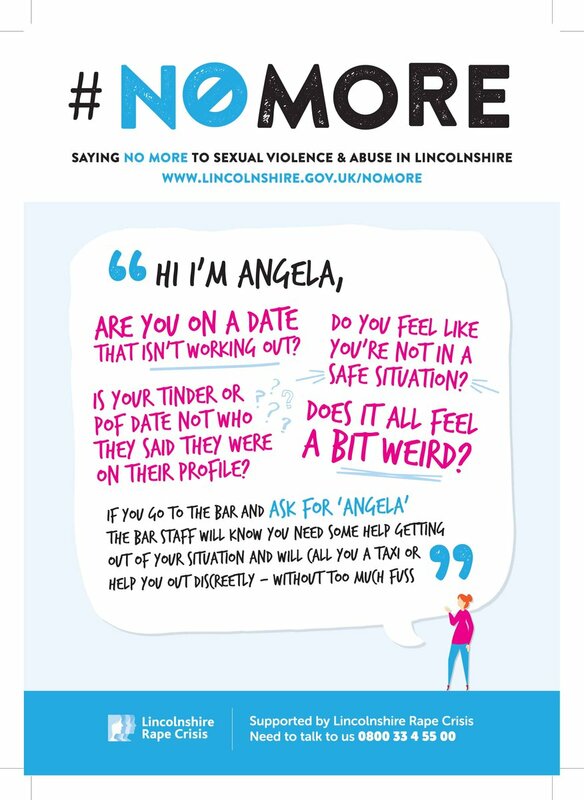 If you've missed this – and I’m not often up with the zeitgeist – this is a dating safety genius from Lincolnshire County Council. The little posters say something like if your date’s not going well and you're worried about your safety, if you think there’s something a bit weird, go to bar and ask for Angela. The staff will know what you mean and will quietly get you out and whisked off to a safe place of your choosing. Angela the guardian angel, obviously. Angela replicates for adults the safety nets we know are vital for children. From Childline to the NSPCC, from the trusted Form Tutor to the kindly dinner lady, we expect a worried child to be comforted and protected. We do it all the time. I was on the gate this week and a small person presented himself. It was Tuesday, moved house on Monday and he couldn't remember how to get home. That's a pretty panicky place to be for an 11 year old so we rushed to Reception where Miss even extracted a smile from the sobbing lost soul as she made the necessary calls. Everyone needs an angel when they're in trouble, someone who'll reach out into the hostile world and map you to safety. We've entertained another Civil Servant from the DfE this week as part of our mission to change the world for the better. He did three days, glued first to a friendly child and then a range of impossible jobs so he could see what we do to protect our communities from political whim. He admitted on arrival (it was a good job l warmed to him) to expecting a big city comprehensive to be a bit chaotic but was bowled over by our calm and happy vibe. He saw English, maths, art, geography, break and lunch duty, staff room life,timetable, data, inclusion, deaf support, the dreaded IER and even did some speed networking for the Year 10 careers gig. He liked the warmth and safety that he felt, and the care he saw in action. He also saw the budget. And what the future looks like. But we talked about teacher retention and what to do to restock the classroom for the longer term, and stop teachers bailing out. I went off on one as per about intelligent accountability, assessment expectations and unscrupulous school leaders wringing the life out of young teachers but we also talked about the effect of the myriad routes into teaching and the ethical underpinnings of the profession. Except I called it a service, because I think that helps. Decentralised recruitment and training needs really tight principles and explicit expectations if we're to preserve something that was once taken for granted. Kindness, optimism, scholarship (let alone tea and queuing) don’t survive accidentally. Old git, moi? Which seamlessly segues into part one of a limited series entitled Reasons We Might Miss Michael Willshaw. Himself talked eloquently this week about schools being the glue of a cohesive society which any selection interference will wreck. Go to it, Sir! All power to your irritating elbow! Unfortunately he also blamed local colleagues for not preventing a nasty fight out of hours recently. A tad unjust: these things are the devil to manage and he just wasn't there. Still, one out of two ain’t bad. We had Year 11 maths and English night on this week and Year 10 careers speed networking with 40 volunteers. Wednesday night was the wonderful Shakespeare Schools Festival at the Greenwich Theatre, complete with an authentically Shakespearean audience, where our young people were slick and witty, Puck on a skateboard, top marks for Bottom. The Dream lives on. Life should be better than it is for a lot of people. Women ought not to fear for their safety when they're on a date. Everyone should look out for one another and any of us should feel able to ask for help. Our Tallis community isn't perfect, but it’s characterised by genuine warmth not based on a spurious grit ‘n' resilience tick list. Our children have the right to expect kindness and a helping hand when they leave us, and throughout their lives. I'd be proud to think one of them thought up Ask for Angela. #NO MORE. October blows towards half term and I take a turn outside to check the elephants and the miasmas and the general views (as Stevie Smith once said). The view from the bridge is diverting, watching the Brownian motion of folks as they rush about carrying news or just chasing each other. Heading back to another meeting I’m surrounded by a group at scuttling height, half a dozen shepherded by a smiley adult. I investigate their purpose. ‘We’re in transition’ they tell me and I have to laugh. ‘What?’ ‘We’re going to Transition, it’s our last Transition Group’. I suggest that they’re in transit to Transition which amuses at least one of them as they rush past. Transition’s what we do for the little ones who might need a hand settling into our big community: looks like it’s worked with this bunch. I muse about this as we do our second big set-piece of the season, Sixth Form Open Night. We’re a huge sixth form and a big importer, so it’s important to give local and distant sixteen-year-olds a gander at what we offer. Head of Sixth (by his own admission dressed like an accountant for the gig) and I (dressed to match the tablecloths) give it our rhetorical best. He’s inclined to the expansive but assures me he’s timed himself and so he has, 20 minutes delivered four times faultlessly, graphs, charts, the lot. The stars, however, are the extant sixth formers who charm the crowd. Ellen’s been with us since she was a rusher and chaser, subtle and stylish in black and applying to Oxford, couldn’t do it without Ms McG and the History department. Grace is newer, in a sort of transition too, been here seven weeks and already running the show. She’s got a lab coat over her Tallis Habits tee shirt and dashes off between speeches to check up on science. As we manage this year 11 to 12 transition we try make sure that young people don’t make the wrong choices for the wrong reasons. We don’t keep everyone here: our sixth form is largely A levels and solely level 3 courses, so some of our own go elsewhere to get the courses they need. Some want to spread their wings. A few, however, are persuaded by parents to move on when they’d rather stay and this worries us. One or two leave us every year to go to grammar school sixths over the border, which really doesn’t make sense. Our results are excellent and our value-added is outstanding – top 15% of sixth forms anywhere. Stay with us and you get a grade higher than you might expect, including in the grammar schools. Do well in a comprehensive school sixth form and admissions tutors at competitive universities love you. Our people make better undergraduates than those from independent and selective schools because they have their work habits embedded for themselves, in their own habits and minds. However, it’s hard for some parents to see beyond the brand hype of grammar schools and they worry that their beloveds might lose the chance to get ahead of the game. We find new ways of explaining it, so we’ve two enormous banners showing where last year’s year 13s went to university. It’s pretty impressive but a pity that the architecture of the foyer gives you a crick in your neck if you try to read them. Chair of Governors wanders around talking to staff between presentations and demos. He wants to hear their thoughts on workload and how the new day feels. We’ve changed the transitional parts of the day; added time to registration and separated the rushers from the moochers in two shorter lunchtimes. Governors worry when staff say it feels exhausting: I worry too. It works for the children but it’s harder on the adults, so we’ll need to keep an eye on it. Friday is Black History Month Own Clothes Day. The year 10 girls who’ve organised it are clear, committed and very organised and their doughnuts sell out in minutes. A group of boys come to talk about some work they’re doing with Barclays and ask if they can hold a talent show. They all impress me: confident, articulate, brave. But I’ve stuff to worry about: money largely, and the pressures of cyberspace, body image and street life. How we sustain what we do and ease transitions for all our children. How we offer education for the hand and the heart as well as the head. How we change the world for the better. Good job its half term, a transitional point to clear the mind. And new drains to come back to! I check the education websites most mornings over breakfast (yogurt and an egg at the moment, but it’s just a phase). Most of the stuff is irritating but there was a much-read story for a week which made me want to chew the carpet. ‘Girls wear shorts under skirts’. Who knew? Of course they do. I’ve long been of the view that if skirts were sensible and practical attire, men would wear them. I have a couple myself for state occasions. They’re all very well, but the ones that don’t flap about in the wind restrict the movement of your legs. Then there’s the shoes issue, and tights, and before you know it you’ve spent a fortune and need to get up half an hour before a man just to get dressed in time. However, consenting adults must do as they wish and many a fabulous teacher totters about in heels and a pencil skirt (though not at Tallis where the bridge is a heel-trap). School uniform lists and dress codes torture themselves over skirts because they present huge issues that can only be solved in ways unacceptable to a thinking person. We say ‘skirts must be of a reasonable length’ – but what’s a reasonable length? A shorter girl can get away with a skimpier skirt than a taller girl simply because the amount of leg on show isn’t as noticeable. And then there’s the leg itself. If you conform to skeletal media expectations is the leg acceptable, but if you’re a bit fatter should it be hidden? And why must it be of a reasonable length? Obviously, one that drags around the floor may constitute a trip hazard, but that’s not the issue, is it? ​It is a serious issue. The article that attracted attention said that due to oppressive behaviour in schools, girls have to wear shorts under skirts to protect their dignity, because boys assault or abuse them. We’ve got pretty good in schools at stamping out overtly racist or homophobic attitudes and language, but are less good at old-fashioned sexism. Girls in many schools think they have to get used to being groped or having their skirts lifted so it’s no wonder they wear shorts. But the skirt is just the presenting issue on the front of oppressive attitudes in society. 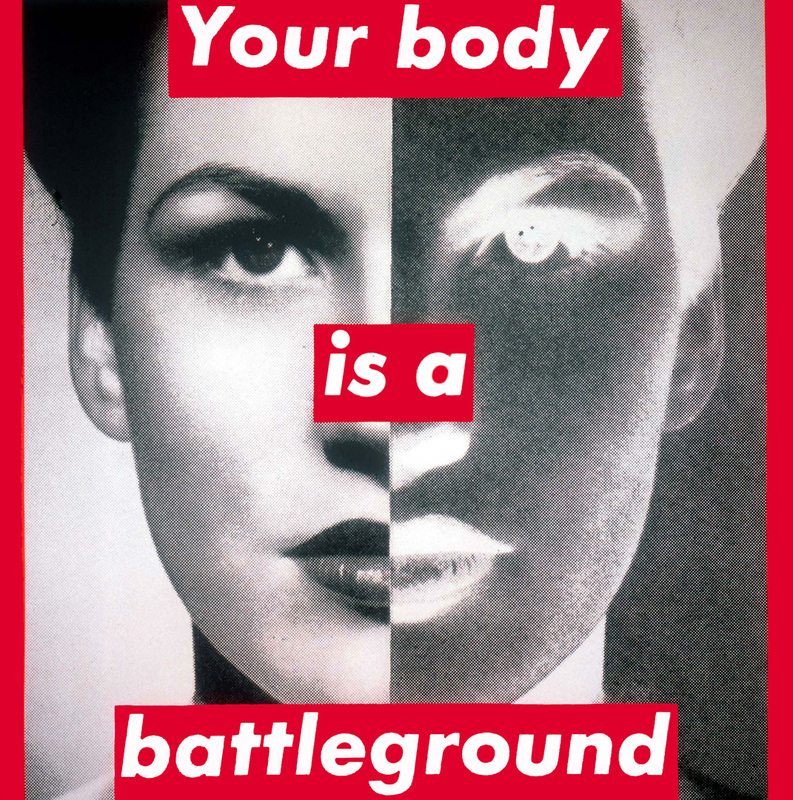 As long as we collude in the policing of women’s bodies then boys will think it’s OK to make girls’ lives miserable with their looks, words and hands. Girls ought to be able to wear short skirts in school without fear of molestation, as their mothers and sisters should be able to walk down the street without fear. Human beings should be able to go about their business without intimidation, no matter what they look like. Don’t misunderstand me, it’s not quite a free-for-all. We wouldn’t like bikinis or swastikas or balaclavas. But we should make sure our dress codes don’t perpetuate the idea that women’s bodies need closer attention than men’s. Boys’ uniform is easier to set and enforce than girls’ because the basics, the clerk-class jacket and tie, is menswear. Skirts are not designed to be practical work attire so once we start policing them, that can of worms is all over our laps. Once we start specifying acceptable coverage for girls – like some of the fancier academies with their tartan regalia - we add a second inequality. At £45 for a skirt while boys’ trousers are two pairs a tenner from the supermarket all of a sudden girls’ education is more expensive than boys’. How is this legal? You know that I think that school uniform’s prime function is as a community builder, with a secondary aim of relieving parents and children from unaffordable consumerist fashion demands. Uniforms should be simple, cheap and practical. They should be the same for girls and boys and we should think very hard about how we describe our standards. And we should put some serious time into working towards a world where girls and women are safer than they are now. It’s not the shorts, it’s the sexism we should worry about. Perhaps our new HMCI can turn her mind to that: understanding equalities doesn’t require school experience. In other news Tallis are at the opening of the Switch House at Tate Modern as I write so more on that next time. And the exams are drawing to a merciful close. Shouldn’t we reconsider GCSE? ​I started on the Education White Paper. On page 11 it declares that autonomy isn’t apathy, which is interesting as I didn’t know they were alternatives. However, two can play at that game. Lettuce isn’t fishcakes. English isn’t French. Lesson 2 isn’t hometime and Mr Nicholls isn’t Ms Minnicucci. We’ve been a bit busy at Tallis so it may be that I haven’t read the whole thing yet. It's tricky settling to read a long document (124 pages) at school and evenings are a bit full-on as term ends (and I go to bed at 9.30 because of advanced age). So, I plonked myself down at the cabinet table to make a start on Monday, after leadership briefing and year 11 assembly. Then a civil servant came a-fact-finding to talk about staffing pressures and after that an upset parent. I read a couple of pages before going to another school for lunch to talk with the HT about what the thing that neither of us had had time to read might mean. Then another 2 pages before talking to a science teacher about the future then Parent Forum (eSafety with Mr Pape) and home. ​Tuesday was bound to be more productive, so the WP roosted on the table overnight. Only what with the Head of Maths, year 10 assembly, more parents, break duty, meeting the union reps, tracking down a child, talking to the Chief Scientist about the future (physicists, they see the future everywhere), trying to get out on lunch duty, meeting the Deputies, writing to other parents, leadership group meeting and then Governors, I didn’t make much headway. Certainly my goal of being able to refer the WP knowledgeably at Governors was properly fettled, so thank goodness they postponed discussion. Wednesday? Business Manager and I had to catch up then there were farewells at the briefing. I teach on Wednesday, which was Community Day this week (Tallis Law) so we talked about the foundation of law in ancient religions and meandered through the byways of Leviticus. The Iceland trip needed discussing, then a different union rep dropped in. Jess came to tell me how well she’s doing, then there was the secret photograph for Mr Quigg’s farewell. All 300 of year 7, being noisily secret on the yard in plain sight: it’s the thought that counts. Year 8's Great Debate couldn’t judge itself, then I visited the scientists in person which they civilly reciprocated an hour later. After that the Fashion Show: if only I’d got there sooner I could have eaten more of year 10’s canapés. Then home. Thursday morning after the 0745 meeting didn’t turn up I put the damn thing in a folder to take home to read on the train a week on Monday. I predicted that what with the saying goodbyes, writing the bulletin, sounding out old stagers, getting through the list of 24 things to do before term ended (reached number 12), seeing a parent, trying to solve a wicked (as in currently insoluble) problem, meeting a maths man, an English man and the HR advisor again that I might conquer the next 101 pages. I’m not telling you this to annoy, just to explain why it is that this game-changing paper hasn’t been committed to the Roberts memory yet. Of course, if the SoS had taken the chance with 1100 school leaders two weeks ago and actually told us what was going to happen, then I’d know more. Just in case you’re worried, talking to unions is normal once a half term and the HR chap is a blessing. Science are hatching a plan, always good. But on Wednesday night I saw the Fashion Show and it was just wonderful. Dancers, singers and models, led by the sixth form designers and supported by media, art and technology made for an evening of joy and wonder, with teachers’ small children dancing in the aisles. Most wonderfully, a repeat of the year 9 dance company’s Run Boy Run first shown at Christmas. Fast and moving with an explosion of exuberant speed and leaping acrobatics at the end, it’s made hard- hearted old me cry twice now. Again! Chuckle and marvel all we like, but the truth is that the White Paper will require careful reading and a lot of thought. Governors are meeting on a Saturday soon to talk about it. Autonomy isn’t apathy, but interdependence isn’t compromise and democracy isn’t under-aspiration. Tinkering isn’t strengthening and deregulation isn’t determination. Legislation isn’t a leaping year 9 who tried to behave so he can be allowed to dance. Forgive me if I’ve postponed reading more. Quite a bit, actually since we last corresponded. Community Day last week where all bets are off: events, dear boy, rather than the usual curriculum. Trips out (we are not afraid) theatre companies, Gangs Against Violence, debating, life at work, revision, yoga, spacehoppers, legacies and UCAS. Then a training day: curriculum, standardisation, Prevent, attendance. Business Manager goes to the y10 council and they collectively despair about the shape of the canteen again. A Public Intellectual comes into grill Oxbridge candidates who emerge a little charred round the edges. Undeterred, one offers the lower school a lecture on The Meaning of Life. Governors’ Learning and Achievement Committee hear six teachers talk about their areas of expertise. Parents' Evening is year 10, the crucible of adolescence. Three official visitors this week introduced at the staff briefing. One we know, one we're getting to know, one we didn't know at all before now. They point out things to us helpfully, usefully, sometimes irritatingly. 'Such and such is great, better than I thought it would be!' delivered cheerfully. Say what? Did you think us barbarians? The third category visitor is from Sanctuary Buildings, on an immersion visit. This great scheme puts civil servants into schools for three days to see what kinds of legs policies have and what schools are actually like. I’ve had a few over the years largely, in the north east, from the Finance and Pensions department in Darlington. Useful, but…. This week’s was from Due Diligence and Counter-Extremism which was apposite as we’ve been considering our Prevent duty. We were glad to talk and learned from each other. A contribution to the system! More policy legs in discussion up in town next day, explaining how progress measures feel on the ground, how accountability bites. I’m working up a snake-in-the-grass image. How we prefer the predictable to the unfathomable, the stable to the whimsical. The legislators listened so were also issued with an open invitation to the good ship Tallis. Both Deputies were out training, one on mental health and one on assessment, though a combined session might be very useful. Returning to the mothership, I received the command back from the unflappable F. He’d navigated smoothly through the morning, but the afternoon was all excitement. A lunchtime delegation to complain about a peer who’s become deranged with power since joining the Police Cadets. He’s been threatened with the removal of his hi-vis jacket. A welcome return of a colleague from illness. A training session on dyslexia. Preparation for a hearing. A brainstorming session, teachers and students, on branding Tallis character: we’ve no time to do it in and no money to do it with, but it’ll be great. At the end of the week, some hard decisions. Comes with the territory. Best of all it’s red tags week now the trees are up. Everyone writes a message and the lunch time ladies kindly hang them on the trees. For the last two years some of them have had to be censored but this time there’s only one unsuitable joke. I read some as I pass. One is ‘I hope for good enough GCSEs to get into the sixth form and peace in Syria.’ Perfect, the personal and the global from a young person who values his own future in a safer world. Education to understand the world and change it for the better. We've been apologising at Tallis this week. Year 7 had local history walks last week (not all at once, you understand, that would be lunacy) and a group was remarked upon. On investigation, it seemed they had overheated with the sheer excitement of being out together for the first time and had not matched behaviour to venue. This kind of thing brings the sky down on a class. Form tutor, head of year, assistant head and I expressed shock and outrage. The hapless eleven year olds were packed off to reform their characters and compose letters of apology, each according to the vocabulary, shame and imagination available. The letters were wonderful. Deep and specific. Guilt was confessed and forgiveness begged. All apologised unreservedly. Several wrote about letting the school down and one pleaded that our august institution wouldn't be judged by 'this tragedy'. We corrected the spelling and posted them. Sorry. Apology is one end of accountability. Sometimes things go wrong despite our best efforts. Sorry it didn't work, sorry we did one thing and not another, sorry we made a choice that turned out to be wrong. Sorry we couldn't make something happen, sorry we ran out of money. Sorry doesn't put it right, but it oils the wheels of forward progress. And it can unnerve. Passing through the lunch queue last week I bumped into (sorry) a year 11 character and asked how she was. "Oh, you know, tired cold hungry stressed out, all of the above." I apologised and she had to laugh. "You're not going to do anything about it, though, are you?" I told her she'd feel better after lunch and that she should keep me informed. She said she liked hearing northern people talking, so I laughed too. Tired cold hungry is sorted out by a school dinner, and the stress might be a good thing depending on the work rate of the youth under advisement. But I'm sorry if its bad stress and I'm sorry if the system doesn't allow you to make mistakes and ends up commodifying you by unpredictable exam results. I note that when we had 31 GCSE results in one subject upgraded by re-mark no one apologised to us or the children. Back on the history walk, we had a whale of a time. An ancient philanthropic foundation, First World War shelling, Second World War shrapnel, Saxon mounds, Henry 8th and a brief history of time at the meridian. I brought up the rear so kind souls dropped back to keep me company. One has an ingrowing toenail, another's brother is frightened of squirrels. One used the walk as a recruitment event for scouting "We sleep in tents! We make our own meals! We crawl through mud!" One's worried about his Nan and another's Dad's a window cleaner (a cold job). Some didn't have jumpers on, some were equipped to accompany Fiennes to the pole. We dawdled and rushed as required and were sheepdogged by an irrepressible Head of Department. We rather swamped a bus but gave up our seats and got in everyone's way. Sorry for being young and foolish, cheerful and mildly ridiculous. Back in class, I finish the lesson with The News. What's going on, people? Someone said: black people are 3 times as likely to be tasered as white. A parent's opinion was proffered but that didn't satisfy us. I won't quickly forget the anxious and bewildered looks on children's faces as we failed to resolve it. I'm sorry that's the news. ​And I'm sorry that the other news is about grammar schools. Sorry that David Willets' magisterial 2007 speech on the "overwhelming evidence that academic selection entrenches advantage, it does not spread it" is (in his own words) like light from a dead star. Sorry that other schools will have to deal with the anxious and bewildered self-reproach of failed poor 11 year olds. Sorry we prefer prejudice to evidence. Headward Headington-Hail, the headmaster of Bash Street School, who loves his tea and biscuits. It’s tweaking the community week at Tallis as we get ready for September’s reboot. We’ve gone pipless to see if removing squawking 10 times a day makes for calm, or just discombobulation and reduces the jamming of hordes in doorways. We quite like it so far, but it’s only day 4 and we’re spacious with 2 year groups down. As we might say about everything concerning adolescents – it’s too early to tell. Fire drill has a new muster station on the basketball courts but retains the comedy implement useless megaphone. Quickest ever evacuation but a bit noisy in the early stages. What else is new? Picnic benches which we spread around experimentally. Enterprising young souls carried them to inconvenient parts of the landscape so we’ve removed them again and will accompany their reappearance with a short lecture on the uses of public furniture. And concrete them in. An email arrives about a young chap who helped an elderly person who’d collapsed in the street. ‘He saved her life’. I look out of the window after a pipless changeover and spot a year 10 peacock practising a new strut. Above him, furtiveness defined, an art teacher rushes out of Science with a body. Admittedly it’s a skeleton, but it has a bag over its head to disguise it. The Festival (Summer Fair) of art, dance, music, face paints and assorted stalls ends with excitable free sausages. Time for a lie down before we start again, I remark to a seagull. Speaking of which, earlier this year I conveyed a Personage along the byzantine route from the front door to my room. It was break and we chanced upon some small girls sitting on the floor in a corner of a wide stairwell. ‘Wouldn’t you be comfortable somewhere else?’ she inquired. ‘Not really, thank you’. They explained that they were ‘practising French before the lesson’. They’d chosen a spot where there was a bon chance of regarding a sixth former of the très jolie variety, but French is French and it needs practising, and it was cold outside. Imagine my concern, then, when Her Majesty’s Chief Inspector of Schools started in about the crisps. Apparently an inspector was out inspecting and was going about with the Head. Students were eating crisps on the floor blocking the corridor and they didn’t move, so the pair of them had to step over ‘prone’ bodies. Ofsted are going to inspect for that kind of thing from September and woe betide any school with supine crisp-eating barbarians. I’m a bit of a behaviour nerd and I like things to be orderly and pleasant with only as many rules as are needed to discourage foolishness. Calm is generally good, but young people need memorable experiences so we sometimes generate a bit of noise and excitement. (Street dance flashmob last week, Tallis Festival today). Children should be polite and well-mannered and the crisps incident sounds pretty shabby. But this was all rolled up with children having to stand when teachers enter a room and a quarter of headteachers not knowing what day it was. I’ve been thinking about this on my bicycle and unpicking my disquiet. For what it’s worth, here’s where I am. Schools are where society looks after its young. We educate them to understand the world and change it for the better, and develop the lifelong skills of inquisitiveness, collaboration, persistence, discipline and imagination. We enable them to make a relationship with the ideas that define and unite us. That’s brokered by strong relationships between teachers and students, the heart and root of education. It happens in school communities which are safe and happy and where progress is good. Beyond that, what? If I go into a classroom I expect everyone to be engaged in learning. If I go into an assembly I expect silence. If I go into the yard I expect rushing about. If I go along a corridor I expect pointless chat. We don’t call students ‘mate’ but I call everyone ‘dear’. We also don’t have HMCI’s favourite standing-up rule, silent corridor rule, tie-up-to-the-neck rule (we don’t have ties). We do have stringent rules about oppressive language and violence, and we’ve decided, all 1800 of us, that we value honesty, respect, fairness, optimism and kindness. We work damn hard to create a place where young people learn to live well in community. We enjoy ourselves together. Sir Michael, I think I saw you on London Bridge station a couple of weeks ago and you looked pretty tired. I’m pretty tired myself. If we make all the above work, will that do? Do we have to stand up as well? A vandalised political party poster from the 2010 campaign. We’re terrifically excited at Tallis. We had a Community Day before Easter on Protest and taught our young people about democracy and participation. We’ve got posters up all over the yard, showing the parties, their leaders and the Woolwich and Greenwich candidates. We’ll have an election on 5th May so will confidently be able to tell the nation what awaits us all before the actual day. Talking this through at Governors last night, one suggested that we should make the children register to vote before they actually put the cross in the box. I think that’s a great idea, because the issue isn’t so much persuading people that democracy is a good thing or the least worst thing, but in getting them to stir their stumps and fetch up to the polling station. We like campaigns at Tallis. We had LGBT month which was very successful with special assemblies, t-shirts, lanyards, posters all over the place. I heard a child explain to another, as if to one of surprising density, ‘Its Gay Week, innit?’. Not a single poster was removed, defaced or misappropriated. Not so much with the election: I regret to report that politicians have not fared so well. Two of the leaders grew tidy Hitler moustaches mysteriously overnight and have had to be replaced (the pictures, not the leaders). Instructions about the democratic process have been reiterated: we don’t deface, we vent our feelings in the ballot box. Participate civilly! I’m not surprised that the Get Over It campaign was more respected than some politicians. Young people cannot fathom the ways of the old. It is blindingly obvious to most of them that inclusivity is the right way to live. They’re interested in people’s struggles and would like to understand the world and change it for the better. Prurient prejudice is incomprehensible: why would you be bothered about sexuality? What is the matter with you people? Politics, however, is encouraged by a bad press which gives an excuse for not voting. Young people and non-voting adults believe that politicians lie and can’t be trusted. One reason is that it’s hard to make a political promise – an economic promise - that is simultaneously easy to understand and true. Politics involves compromise, and you need a clear understanding of the flawed possibilities of human life to keep cheerful about it. Being outraged about inequality and politicians’ refusal to tackle it is reasonable and understandable: not voting is unreasonable and nihilist. Decisions are made by those who show up. We do the best we can. However, one does sympathise with despair at political pronouncements. The government have decreed that all year 7 students who didn’t meet the expected standard (what we used to call level 4) in reading, writing and maths in year 6 will have to take the tests again. That was 21% in 2014. 21% of Year 6 students have SEN and are mostly exempt from the proposed re-sits. So who’ll do the tests? When? Will secondaries keep these little ones out of the timetable until they pass? Will that help them get cleverer? How will Ofsted measure it? And so to #2 in an occasional series of Things Overheard That Make Me Want To Bang My Head Against A Wall. A renowned prep school was being discussed at a small hotel to which I betook my weary bones after Easter. Thus: ‘It’s wonderful, so very child-centred. They value childhood and even teach some of them how to be children. Oh, and they all swim across the river with their clothes on.’ Try that in a state school and count the days until the Head appears in the paper and her job in the TES. I hope that none of the children frittering away their time learning to swim were under par in the KS2 tests. Oh, I forgot: they don’t have to do them in the private schools. Endless testing: good for other people’s children. Learning how to save your own life and have fun too: good for rich people’s children. Sometimes at school we have hard messages to impart which help young people grow up. We tell them if they generally tell the truth, try hard and act honestly that they will be believed. If they generally behave unfairly or thoughtlessly they are less likely to be trusted when it matters most to them. Children understand that so most of them learn that honest error is forgivable but sustained deception makes community life unsustainable. We teach them to make up their minds about people based on how they treat others. And then we tell them to vote.